The third of the trio of New World hop showcasing beers with which Hop Nation announced themselves to the world was one that took them back to the country where they'd first met – and started homebrewing: New Zealand. 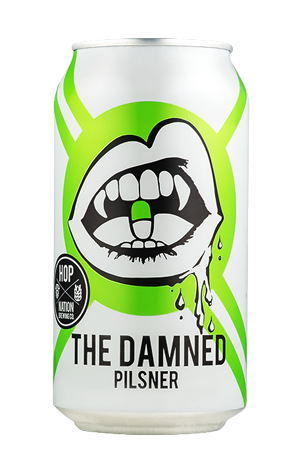 There have been many great beers come out of New Zealand but the one homegrown style that's gained more traction there then any other is the NZ Pilsner and that's what The Damned delivers. Classic pilsner malts form the backdrop for lively lime and citrus hops to take centre stage, with Motueka and Riwaka the chosen varieties.